A few months ago I discovered RTÉ's archived news reports of Ireland's switch to decimal currency - when the UK switched from pounds of twenty shillings and 240 pence to pounds of 100 new pence in 1972, Ireland was compelled to follow suit, as the Irish pound had always been pegged to sterling. (Scots and others please note - this was unilaterally done by the Irish with facilitation after the fact from the Bank of England.) 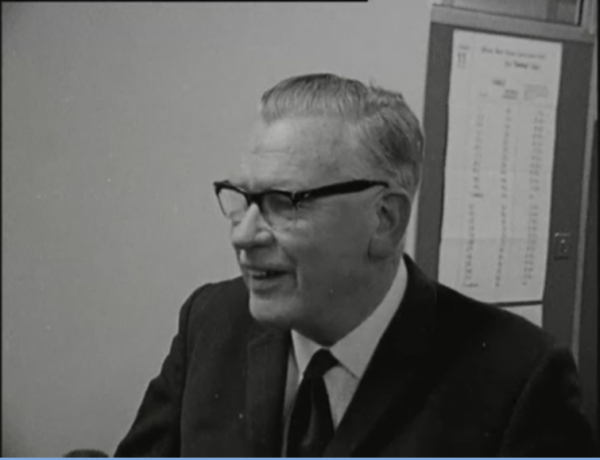 My grandfather was the Chairman of Ireland's Decimal Currency Board, and the RTÉ report includes what I suspect may be the only video footage of him in existence. 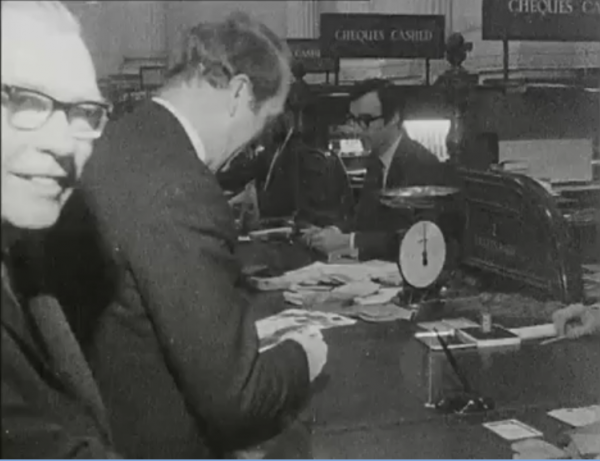 The first thirty seconds of the news clip are soundless, but the very first shot is of my grandfather grinning at the camera while the Minister of Finance fiddles with the new money. The report ends with a few seconds of soundbite from my grandfather, where I can recognise his twitching of his eyebrows behind his glasses as something I share. This is me on the BBC election broadcast last year (at 0:14:44; 0:42:25; 1:22:13; 2:17:42; 2:42:45; 3:43:46; and 4:15:25); what do you think? I can see some similarities between the four of us, I must admit.